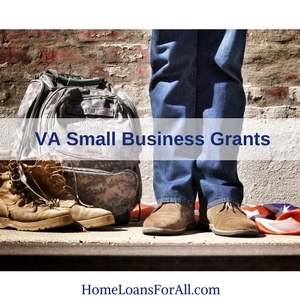 VA small business loans are specifically designed to help veterans become entrepreneurs. Starting a business is hard, and among the many questions that come to mind funding is always on the top of the list. This can be especially challenging for veterans who are at the same time trying to re-adjust to civilian life. In many cases, veterans might have poor or no credit, making things even more complicated. Small business loans for veterans are backed by the Small Business Administration (SBA). This means that the SBA puts up money in the case of a default, lessening the risk for the lender. This can help provide loans to veterans who might have little or less than stellar credit. The SBA actually has a specific VA office that oversees the loans. These are loans, meaning that have interest rates attached and must be paid back. This is important to keep in mind as this is not “free money”. There are various types of VA small business loans, each with its own specifics and requirements. This article will look at each, and help you decide which VA business loan is right for you. It will also look at some of the other programs offered by the SBA and VA to help veterans successfully start, run, and grow their business. Learn more about VA Loans by reading our comprehensive article here. Why VA Small Business Loans? For starters, the backing by the SBA allows for loans with no collateral. Larger loans do typically require collateral, but usually less than a typical loan. They can also come with lower interest rates, potentially saving thousands over the lifetime of the loan. Also, keep in mind that SBA loans are not directly from the government, but are offered by qualified 3rd party lenders. This means that the same loan might have different terms from different lenders. It’s important to keep this in mind, and do some comparison shopping in order to determine the best loan for the situation. Not necessarily part of the loan, but SBA also provide various other services for business owners. This includes lessons on writing business plans, obtaining permits, hiring, and more business related services. 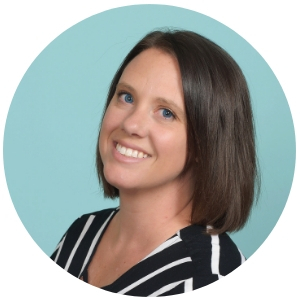 These services are a huge service that can really help owners grasp some of the finer parts of owning and running a business. Most of these services are provide at no charge, making them a no-brainer for those looking for more business knowledge. VA small business loans can be used for most business expenses. This includes working capital for day to day expenses, as well as for fixed assets like furniture or machinery. This also extends to startup costs. This makes them extremely attractive as they can be used for the wide majority of expenditures a business might incur. There however some VA small business loan programs that do put restrictions on what the loans can be used for. This can vary lender to lender, so always make sure to check with them before taking on any loan. While many lenders do require credit history, those with little no history still have options. Since the SBA is guaranteeing a portion of the loan, this can help offset some of the risk and allow veterans to acquire small business loans with poor credit. However, since the loans are provided by 3rd parties each one can have its own policies and procedures. It’s important to talk to the lender, and see what options they have available. Do some shopping around, and see what rates and options are offered by different lenders before making a decision. In many cases, years of business is taken into account for no/low credit options. Some loans have no credit requirements, but may for example require that the business have been around for at least a year. Some loans, usually dependant size, may also require collateral in order to secure. VA small business loans are open to veterans and those currently associated with the armed forces. This also extends to those about to be deployed; loans are available to help offset the loss of essential employees. Learn more about obtaining your VA Certificate of Eligibility here. The loans are also available to qualified family members such as wives or widows. A dishonorable discharge does not automatically preclude you from a VA sponsored loan either. The rules here though are complicated, and take into account length of service and reason of discharge among other things. If you were dishonorably discharged, it’s best to get in touch with a VA office and see what benefits may still be available to you. 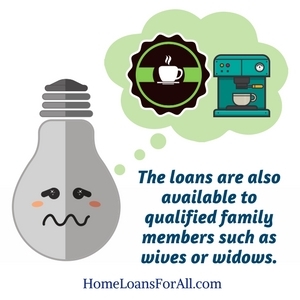 In all cases, the business being borrowed for must be majority owned by the veteran or qualifying family member. They must have at least a 51% ownership stake. Va small business loans are also limited to for-profit businesses only. Non-profits do not qualify for loans. It’s also important to note that individual lenders may have their own requirements. This may include things like years in business, minimum annual revenue, or credit score requirements. Talk to the lender to learn what specific loan options they have available and the terms associated with each. 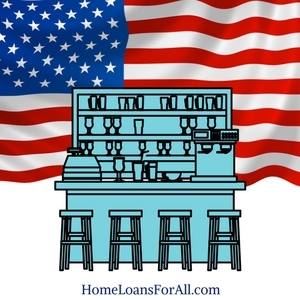 Where Do I Go To Get a VA Small Business Loan? As the loans are fulfilled by 3rd parties getting a loan means talking to an approved lending institution such as a bank or credit union. The SBA has specific lenders that are approved to offer loans guaranteed by them. In addition to that, you can also visit a SBA office. These offices are located in every state, and offer assistance in acquiring VA small business loans as well as various other business related services. Here’s a list of all the office locations in the United States. As mentioned, many of these services are offered for free for veterans. This makes them an excellent source for business training. The SBA offers multiple different loan programs, so it’s important to learn about them to determine which one best fits your needs. Here are some of the most common options available to veterans. As mentioned above, the VA provides business development assistance through the Office of Veterans Business Development (OVBD). This is a program through the VA that provides help with the various tasks required to run a business to veterans and qualified family members, as well as facilitating the loan process. In terms of loans, the OVBD provides tools and assistance for securing one. They also provide various business development services, and training on different aspects of running a business. These offices are located in every state, and are an excellent resource for business minded veterans. Loans borrowed under the SBA veterans advantage program are great for borrowers who need cash fairly quickly. Many loans in this category can be approved in under 36 hours, and require less paperwork than some of the others. One of these loan’s main advantage is the low or even waved guaranty fee. Depending on the length of the loan, an upfront fee as a percentage of the total loan will be required. With this type of loan however, veterans can enjoy a lower rate making it easier to secure. They are also available in a wide range of amounts, so even veterans looking for smaller loans can find exactly what they’re looking for. These loans can be acquired by veterans who are currently running, or plan to start a business. They can be used for startup costs or for an already existing business. These loans are offered by 3rd parties, and then backed by the SBA. The exact terms and conditions will vary by lender, so always shop around to see available rates. There is also the Military Reservist Economic Injury Disaster Loan (MREIDL) program. This loan is specifically available for business where an essential employee is called for duty making them unable to meet ordinary and necessary business obligations. MREIDL loans are limited to, at the time of writing, 2 million dollars, and capped at 4% interest. This limit can be waived, but it largely depends on the economic impact the leaving employee has on the business. For loans over $50,00, collateral is often required to secure the loan, but this is up to the discretion of the loaning institution. In order to qualify for this loan, federal law mandates that they must investigate the apply business to determine need. This means that the leaving employee has to have a detrimental effect on the ability for the business to continue to operate. They cannot simply be acquired to inject cash into the business or cover basic operating expenses. In addition to the loan services, the VA offers various grant programs to help veterans start and run their small business. Unlike loans, these are typically free and don’t require any sort of payment for services or capital given. These are great opportunities for small owners! The Boots to Business program is a two step education and training program offered to service members looking to start their own business. It starts with a two day introduction to entrepreneurship that talks about the basics of running a business. After that, there is an eight week foundations of entrepreneurship online course. This goes more in depth, and talks about finer points of starting a business such as how to write a business plan. This is invaluable information for those looking to start a business, and helps to get veterans off to a good start. All active duty military members that are transitioning out of the military, as well as their spouses, are eligible for this service. This program is specifically set up to help veterans who were injured and disabled while in the line of duty. Qualifying business, as noted above, must be at least 51% owned by the veteran seeking the service. The veteran must also have a verifiable, service related injury confirmed by the VA or the Department of Defense. The program helps business obtain sole-service government contracts of up to $5 million. This is a three phase program, and was designed to help women veterans transition into becoming business owners. Notably, this service does have a one time fee of $75. The program starts with 15 day online business training course, which is then capped off with a three day in person session. Support continues after this in the form of mentorship and training on all aspects of starting and growing a business. This program is open to active female service members as well as those that were honorably discharged. It’s also open to the female spouses of male service members that satisfy the same requirements. For veterans looking to secure financing for business use, looking to the VA and SBA is a great first place to start. For those that qualify, they can offer extremely attractive interest rates as well as waived fees, which can add up to thousands in savings over the lifetime of a loan. Add to that the various developments services offered, and there’s certainly something for any veteran to help them reach their business goals! Is It Okay If My Business Partner is Going to Fund My Start-up Costs? 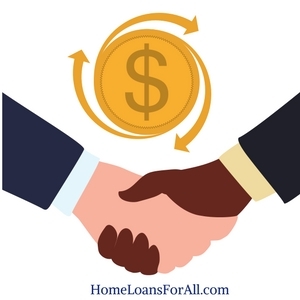 It’s okay to have partners when seeking a VA loan, but keep in mind that most require the veteran to control the majority (51%+) of the company being borrowed for. How Much Can I Borrow Through a VA Loan? The amount you can borrow largely depends on your individual situation, as well as the lender. Since VA loans are distributed by third parties, they are free to set their own limits. Keep in mind the amount the SBA will guarantee, as this will have a large impact on the total loan amount. Are There Any Business Which Can’t Get a VA Loan? Yes, certain types of industries are not eligible for a VA loan. This includes industries such as gambling and pyramid schemes. Businesses like this cannot receive a VA backed loan. Does My Credit Score Matter For a VA Business Loan?